Whether you require a place to run training programs, hold meetings or conduct seminars, our conference facilities can accommodate all your needs. We offer our Cumbrian Suite which can cater for a maximum of 20 delegates theatre style or up to 14 boardroom style. The room comes with flip charts and has high speed wireless dedicated fibre line connection. Other equipment can be supplied on request. The Conference centre has a dedicated organiser who will discuss your requirements and make all the necessary arrangements to ensure your event or meeting runs smoothly. From your initial booking, the organiser will oversee your catering requirements, the hire of equipment, or specialist room set up, offering a complete professional service at all times in addition to being on hand during your event. 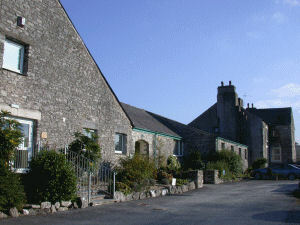 The rural location just outside the village of Burton-in-Kendal (between Lancaster and Kendal and close to M6 J35 and J36) is easy to get to and offers you a peaceful and relaxing environment, conducive to productive training and successful meetings. And our competitive rates ensure that all businesses can take advantage of this wonderful setting. Further information on room tariffs, supply of equipment and all catering needs are included on this site. To check availabiltiy or to make a booking please contact our Conference Organiser on 01524 784320. Our business units, in an effort to support rural enterprise, are aimed at business start ups and existing small to medium sized businesses and as such are always in great demand. If you are interested in locating your business in the centre, with the added luxury of tailoring your unit to your specific requirements, please contact the Centre Office on 01524 784320.